At Your Home is committed to turning your house into a castle that makes you smile every time you come home. Imagine wanting to take an extra moment to sit in your car after a long day’s work and commute and admire your home. 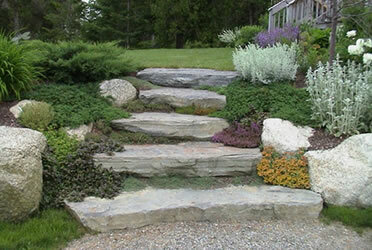 That’s what we strive for: Beauty that is low-maintenance or maintenance free. Most people don’t realize that your siding, soffits, and trim need periodic maintenance to keep them looking their best. This may be in the form of a power-wash, but wooden siding, soffits, and trim require repair and paint. Whatever your home’s needs, we’re here to help. 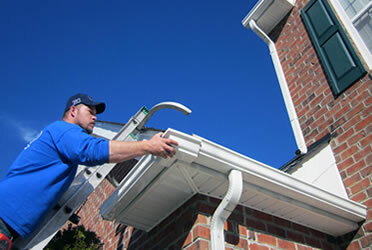 We repair or replace damaged siding, soffits, or trim. We power wash your home. We repair, patch, and paint broken railings. 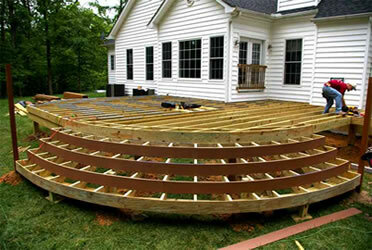 We can even restore a deck. At Your Home also offers full house siding, should you decide to update the look of your home, or reduce the necessary maintenance. We use only the best in composite, vinyl, polymer, and fiber cement products by CertainTeed and Hardiplank. Before your siding goes on, we wrap your home in a weather barrier that provides a balance of water resistance and water vapor permeability. This reduces water intrusion from the outside while releasing water vapor from inside so the wall cavity of your home remains dry. 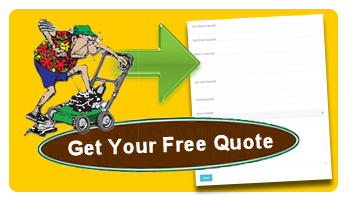 Then we help you choose the best siding product for the style and look you want for your home. Worried about energy efficiency? By choosing an insulated siding, we can install an energy-saving product that stretches your heating and cooling dollar while providing a beautiful, maintenance-free exterior. You want the strength, beauty, and durability to attract home buyers. HardiePlank siding enhances and protects homes in all kinds of climates—and now, with the HardieZone® System, HardiePlank provides siding engineered to perform perfectly in Maryland’s climate! Product installation work GUARANTEED. 30-year nonprorated, transferable, limited product warranty. HardieShingle siding has the same warm, authentic look as cedar shingles, yet it resists rotting, cracking, and splitting. It’s beautiful as a primary siding or as a complement to other styles of James Hardie® siding, and it’s also engineered to better withstand a Maryland home’s particular weather challenges. The shingle siding panels come in a variety of decorative edges and expedite installation when used in larger areas. 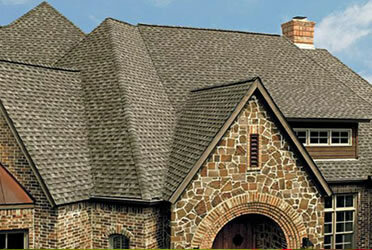 HardieShingle individual shingles come in a selection of widths for an authentic handcrafted look and are also ideal for smaller coverage areas. Product installation work GUARANTEED. 30-year nonprorated, transferable, limited product warranty. For projects that call for vertical siding, HardiePanel vertical siding provides value and long-lasting performance. As with all HardiePlank exterior products, HardiePanel is engineered to stand up against the harshest Maryland weather conditions. When combined withHardieTrim® Batten boards, HardiePanel vertical siding gives you a traditional board-and-batten look. Product installation work GUARANTEED. 30-year nonprorated, transferable, limited product warranty. This luxury, high-end exterior building product turns any house into a dream home. Artisan Lap provides stunning visual impact and curb appeal, far surpassing anything else on the market. Breaking free from the flat lines of typical modern homes, the multi-dimensional lines of Artisan Lap cast stunning, deep shadow lines across any home’s exterior design. This dramatic style and sophistication blends with structural integrity. Boasting absolute precision in its symmetry, Artisan Lap is significantly lighter than traditional building materials, yet has unrivaled strength and durability and requires minimal maintenance. You also get the benefits of HardiPlank’s proprietary ColorPlus Technology, a consistent, multi-coat, baked-on finish created especially for the demands placed on a home’s exterior. Artisan Accent Trim and Artisan Lap Corner Detail Options serve as the perfect complements by delivering superb finish to every luxury home. Product installation work GUARANTEED. 30-year nonprorated, transferable, limited product warranty. A home’s trim says a lot about a craftsman’s attention to quality and detail. Like the finest top-grade lumber, Restoration Millwork cuts, mills, shapes and routs like wood. But since it’s made from cellular PVC, it out-performs wood by far—with no worries about rotting, warping, moisture or insects. It is heat-formable for curves and arches, and offers a choice of Smooth or TrueTexture™ woodgrain finish for more options. CertainTeed trimboards come with FinishedEdge™. The product edges are heat sealed using a proprietary CertainTeed process that creates a smooth finish, preventing dirt from collecting on the surface. This “smooth edge” feature is also available on their corners. Product installation work GUARANTEED. 25-year limited product warranty. Made of the highest quality materials available, dimensionally stable HardieTrim boards are resistant to damage from water, insects, harsh weather and are low maintenance for long lasting beauty. HardieTrim® fiber cement trim adds the finishing touches to a beautiful, lasting look for your home, and are all engineered to withstand the harshest Maryland climate changes. HardieTrim boards provide unmatched durability and allow you to create a variety of design possibilities for trim, gables, corners, fascia, windows, doors, column wraps, rakes, friezes, decorative trim and other non-structural architectural elements. Product installation work GUARANTEED. 15-year transferable, limited product warranty. HardieSoffit® pre-cut soffit panels eliminate the need for separate box or strip vents and minimize the need for cutting. HardieSoffit® panels are available in in both vented and non-vented styles in a range of pre-cut sizes. As with all HardiePlank siding products, they are engineered for optimal performance in Maryland, so you can have peace of mind that your siding products will stand up to the harshest elements. HardieSoffit panels are noncombustible. Product installation work GUARANTEED. 30-year non prorated, transferable, limited product warranty.